The Field by Ian Dawson is a fairly straightforward YA novel about two friends, Daniel and Kyle, and what happens when one of them is kidnapped. The book starts with an introduction to both boys and their friendship, and all of the normal adolescent school life adventures and girl crushes. There is also a parallel story of Austin and James, another pair of so-called friends, but in reality they are in a power and abuse-based dynamic. Austin is the one who ends up kidnapping Daniel one day, with James as his unwilling apprentice. This is not the first time Austin has abducted someone or abused them in captivity. Once Daniel goes missing, Kyle rises to the occasion and tries to find and rescue his friend. This is their story of friendship and also about those relationships in youth that are power based and what the youth of today can learn from this and protect themselves from abuse of this kind. 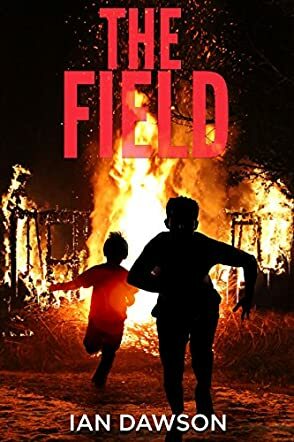 The Field is a fairly quick read and the time line moves quickly from showing the normal life of two teenage boys with their usual teenage problems to one where suddenly there is danger and kidnapping involved. I enjoyed Daniel’s character and he is very relatable and believable as a young 14-year-old boy. The book also highlights an important aspect of teenage life, where either due to peer pressure or bullying, young people often get dragged into and stuck in unhealthy, abusive relationships with peers. This book serves as an educational attempt to recognize these warning signs and not hesitate to try to get help. There is a website provided at the end, but I also think this book would benefit from having an entire list of references of websites and phone numbers teenagers can call in case of such difficulty. This is a good read for young adults and teenagers. Like many teenage boys, Daniel Robinson and Kyle Hanson look for adventure in all the places they should not in The Field by Ian Dawson. They play pranks and humor each other. Still, beneath their mischievous natures lies a deep-seated friendship that grows with each passing day. On the other hand, Austin and James are inseparable, not because of love but out of fear. James is constantly afraid. He dreads what Austin would do to him if he even thought of breaking off their friendship. He already has a blinded eye to show for an earlier attempt of defiance. For Daniel and Kyle, everything seems to be going well until they encounter Austin. Fast-paced and graphic, The Field by Ian Dawson presents a coming-of-age story that explores the theme of friendship. Two friendships are paralleled; one toxic and the other inspirational. Issues of parental neglect, lack of trust and communication, and lack of information on where to turn when trapped in unhealthy relationships appear in The Field. The lack of parental attention from James’ mother makes it difficult for James to turn to her for help. Additionally, Kyle resolves to handle challenges by himself instead of turning to his parents. Ian Dawson brilliantly covers the symptoms of destructive friendships. Mostly he brings out Austin’s controlling nature and disguised cruelty. The graphic descriptions highlight the darker sides of toxic relationships. The consequences that the antagonists face are an eye-opener that will serve as a deterrent to possible perpetrators. The Field is a powerful prompting that reminds us of what we deserve from the people around us. The Field by Ian Dawson is a young adult adventure involving kidnapping and exceptional courage from young characters. Just as he neared the awkward stage of puberty, fourteen-year–old Daniel Robinson is kidnapped during a game of hide-and-seek. He finds himself locked up in a dingy room and he knows there are just two options from what he overhears of an argument between his captors —let him go or kill him. But he knows letting him go won’t be happening, so he must find a way to escape. His best friend, Kyle, who has helplessly witnessed the kidnapping is determined to free his friend, but does he have what it takes? This is a beautiful story about friendship and courage and young readers can find a lot of inspiration in it. Ian Dawson makes the writing cinematic, atmospheric, and gripping, allowing readers to get clear images of the action in their minds. Character development is top-notch and the author creates a world of escape for readers who still miss the fun world of adolescence. The plot is also well developed with intricacies that will surprise readers as they follow the three-dimensional characters through intense action. The story is emotionally rich and it’s interesting to follow the protagonists as they face complex issues, feel the psychological strain and what it takes to survive against the odds. The Field features excellent prose punctuated by exciting and realistic dialogues and a setting that feels like the next street. This is one of the best novels I have read for young adults in a while, and readers will be drawn in by the crisp writing, the compelling characters, and the well-handled conflict.